Your eyes meet across a crowded bar, and you know, you just know, that you MUST see their Instagram account! Fortunately, the platform is making it easier to follow those rare people that you actually meet in real life with a new QR code type feature called Nametag. 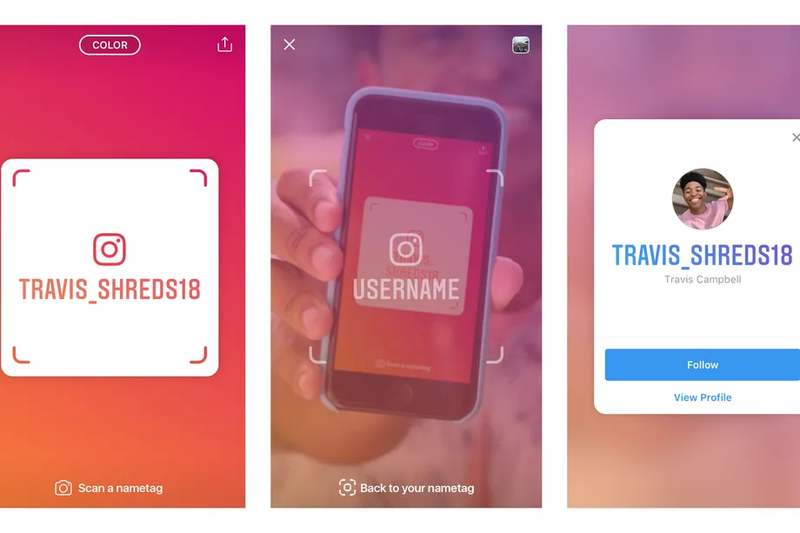 You can access your nametag from the menu on the right had side of the app, or scan other people's tags by hovering over them with your Instagram camera (smooth). It's launched globally on both iOS and Android, so you can get scanning now. The unstoppable force that is Facebook has entered the hardware game. The social media giant today launched pre-sales of the $199 10-inch screen 'Portal', and $349 15.6-inch swivelling screen with hi-fi audio Portal+, (minus $100 if you buy any two, generous). The screens have voice navigation, Messenger video calls, Spotify and Pandora for Bluetooth and voice-activated music, AR Story Time for kids, Facebook's TV-style app Watch and more. It's currently available in the US only. Check out TechCrunch's demo below for an in-depth look at the tech. Facebook has launched Premieres, which mixes features of Live and pre-recorded videos. The format allows creators to pre-record video content then release it within a chosen time window, so that content has the advantage of feeling 'of-the-moment' without compromising on quality. Facebook isn't first to the party - YouTube and Twitch have similar offerings already. The platform is also rolling out interactive video polls to more Pages, and making its Top Fans feature available to all Facebook Pages worldwide. Online bullying is a growing problem, and one that Facebook is looking to tackle with a host of new tools. People can now hide or delete multiple comments at once from the options menu of a post, new ways to search and block offensive words from showing up in comments are being tested, and a new way to report bullying on behalf of others is being rolled out. Critics point out that it's been a long time coming, other platforms like Instagram have had sophisticated tools for years. Facebook Marketplace is more high tech than you think; behind the second hand sofas and electrical goods are some new AI features. Rolled out to celebrate its second birthday, the AI will scan photos and automatically categorise items you upload, and compare them against similar listings to give you an idea of price. For buyers, it can now recommend listings based on a picture you upload. Future plans sound even sexier (if that's even possible!) - you will be able to upload a photo of a space, like a room in your house, and the AI will surface listings of furniture to buy based on its layout and size. Buyer and seller ratings have also been introduced. Facebook's Nearby Friends feature, launched back in 2015, never really took off. Now, it looks like the platform has taken inspiration from Snapchat's Snap Maps with a significant redesign of the feature. Instead of a list of cities that friends are in, it will display a map that groups friends together by city. Given ongoing privacy concerns, Facebook has been very clear that whatever the new design looks like, it will still be an opt-in feature. Facebook Messenger is aiming to become your digital PA, by testing ways to let you use your voice to dictate and send messages, initiate voice calls and create reminders. A Facebook Messenger spokesperson confirmed that it is internally testing the voice command feature. WhatsApp founder Brian Acton has been speaking out about Facebook's plans to introduce targeted adverts to the private messaging app. Mr Acton, who left the company in September 2017, said that WhatsApp would soon show targeted ads in the app's Status feature - something which makes him "unhappy". WhatsApp confirmed that ads would be introduced to the Status feature in 2019 but that messages "will remain end-to-end encrypted". Hopefully, Mr Acton's share of the $22 billion that Facebook paid to acquire the app will help cheer him up. Disappointing results from Twitter UK last week, with pre-tax profit down 4% year on year to £2.55m for 2017, according to its latest financial disclosure. Staff numbers in the UK also fell y-o-y (from 187 to 174). Twitter’s been on a global cost-cutting drive, in which the UK division ran up restructuring costs of £1.4m in 2016 (down to zero in 2017). Twitter has historically struggled compared to the likes of Google and Facebook when it comes to attracting digital ad spend, and figures like this suggest a turnaround perhaps isn't on the cards any time soon. Data poor? Twitter's got your back with an updated version of its app, which will give users more control over their data usage. It works in a similar way to Twitter Lite, the app that has been designed for emerging markets. Now, users looking to save on data can switch on the ‘Data Saver’ option in Twitter’s Settings, and when using it, images will load in lower quality and videos won’t autoplay. YouTube is helping advertisers better connect with audiences, through an expansion to its TrueView in-stream ad format. 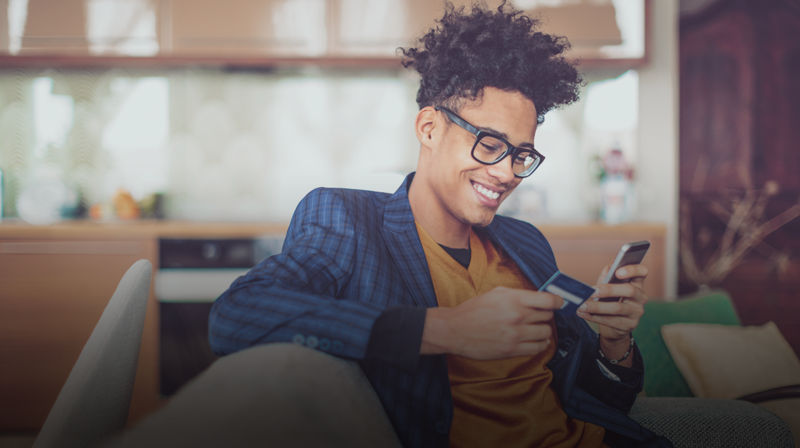 Now, advertisers can encourage viewers to take actions when viewing ads beyond just a click, such as app downloads, travel booking or buying movie tickets. For example, those viewing trailers could be presented with with information about nearby cinemas where the movie is playing, and options for buying their ticket. Early testers include Vodafone, 20th Century Fox, Headspace and Maybelline. 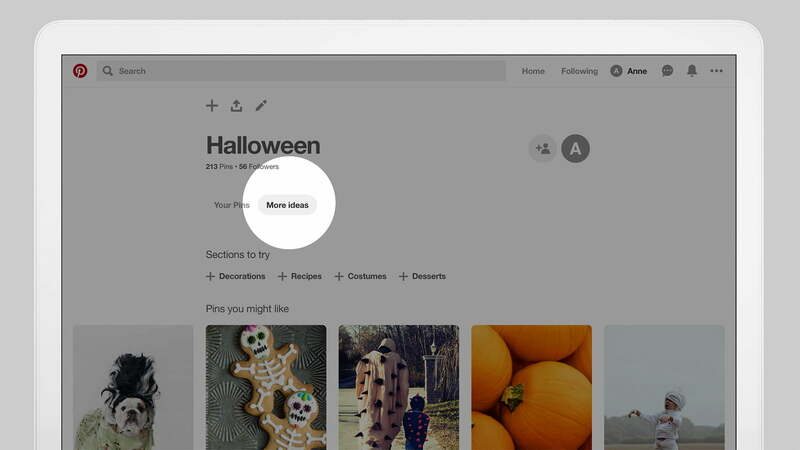 Pinterest has launched a new tab for boards called “More Ideas”, which will show users personalised recommendations. The suggestions will be based on your current board topics and pins, so if yours is anything like mine, potentially just more unaffordable inspiration on home interiors. The new tab is located underneath the name of the board on both mobile apps and the web-based version, effectively dividing the board into two sections, your pins and more ideas. In late September, a Snapchat internal memo was leaked which detailed CEO Evan Spiegel's perception of its failures, as well as plans for the future. 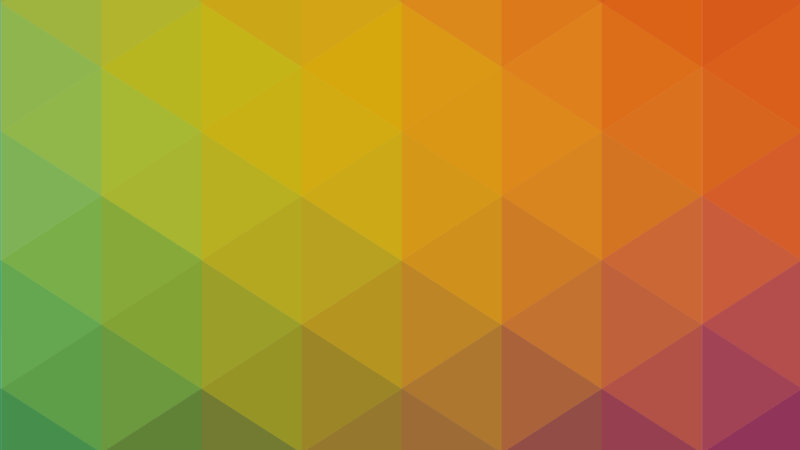 TechCrunch has picked it apart in feature posted last week, highlighting nine key takeaways. These include apologies for rushing its (unpopular) redesign, how a focus on 'best' friends will help it compete with Facebook and that "aging-up" its community is seen as a way to help the media, advertisers, and Wall Street understand the platform. Yahoo has launched a chat-focused app, 'Yahoo Together'. It’s available now on Android and iOS after previously being tested as Yahoo Squirrel. The Verge has been rather scathing in its assessment of the app, describing it as a "blatant rip-off" of Slack. Similarities aside, it's already a crowded marketplace and it seems unlikely that Yahoo has done enough to stand out. RIP Path, which disappeared from existence on 1st October. Its early USP was that it was a private networking app that let users keep just 50 friends, but that was eventually lifted. Like many start up social media networks, it was probably steamrolled by the success of Facebook - its stickers weren't enough to save it. Facebook allegedly borrowed several innovations from Path, notably stickers and reactions, which replaced the "like" button in 2015.